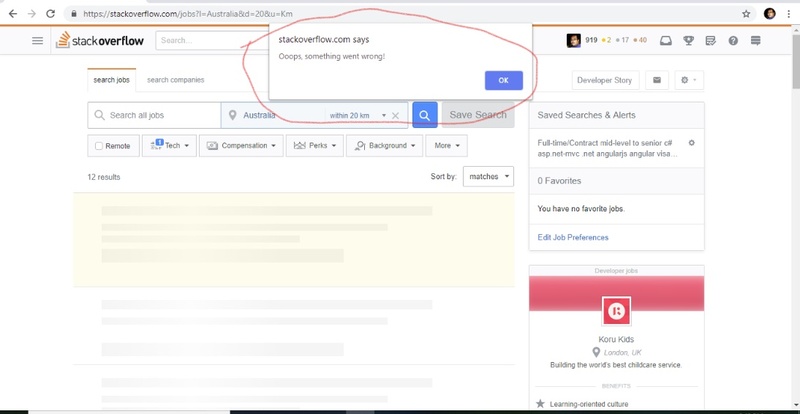 So I was checking out the SO Jobs and in tech filter I picked C# tag and in location I picked Australia, and what I got is an Alert Box and 500 in chrome's debug console. However the same combination works with any other country. What happened to C# in Australia? Browse other questions tagged bug status-norepro jobs .